Domtar once again opened its doors to college interns from around the country. Participants in our summer internship program bring fresh talent and perspective to our business. It’s also an opportunity for us to connect with potential full-time entry-level recruits. With an estimated 10,000 baby boomers retiring each day and nearly 4 million people leaving the workforce each year, companies in a range of industries are facing employment gaps. Domtar is no exception. Of our nearly 10,000 employees, almost 47 percent are at or near retirement age, as noted in our 2017 Sustainability Report. So what makes Domtar stand out from the pack when recruiting interns and the next generation of manufacturing and industry professionals? 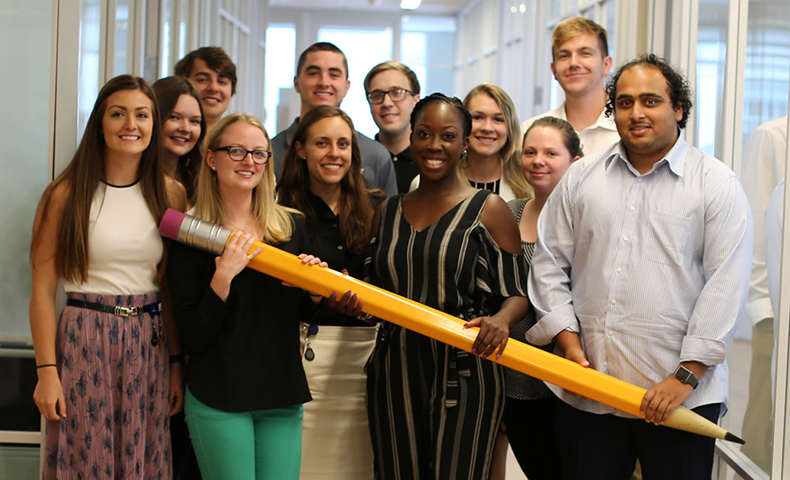 Our strong commitment to sustainability, engagement in corporate social responsibility efforts, and our growing, in-depth summer internship program. According to a study by Cone Communications, 87 percent of millennials and 94 percent of Gen Zs believe companies should help address social and environmental issues. In addition, 64 percent of millennials said they won’t take a job if a company doesn’t have strong corporate social responsibility and values. But working for an environmentally aware company is not enough; 89 percent of millennials said they want to be active participants in helping their company improve sustainability practices (compared to a U.S. average of 77 percent). “Anything that isn’t growing and developing isn’t healthy, and for Domtar, the continued investment into our interns and the upcoming workforce will allow our company to continue to be a healthy organization for decades to come,” says Adams. Click here to watch a short video about what our 2018 interns were up to this summer.